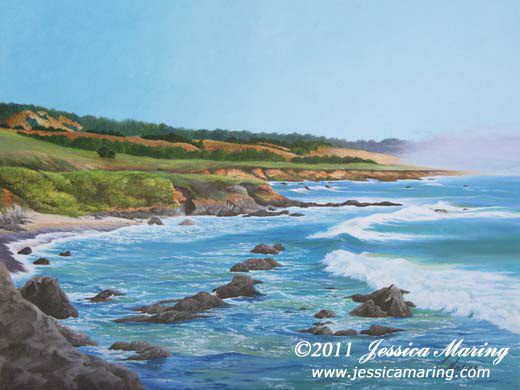 This painting depicts a scenic stretch of coast just south of the Pigeon Point Lighthouse. Late one summer afternoon, I stopped to take some more photos of the lighthouse, and looking in the opposite direction, saw yet another painting. The fog is standing out a ways touching only a point of the land, and the gold and green hills bask in the California sun.